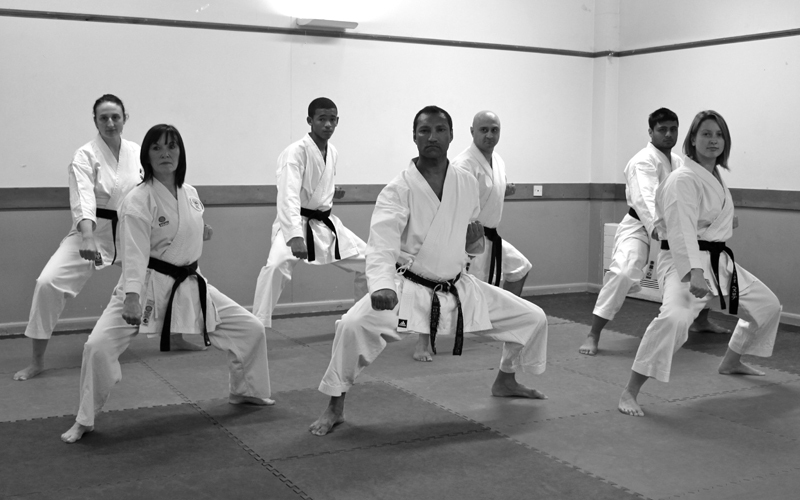 The East London School of Karate was originally founded in 1980. 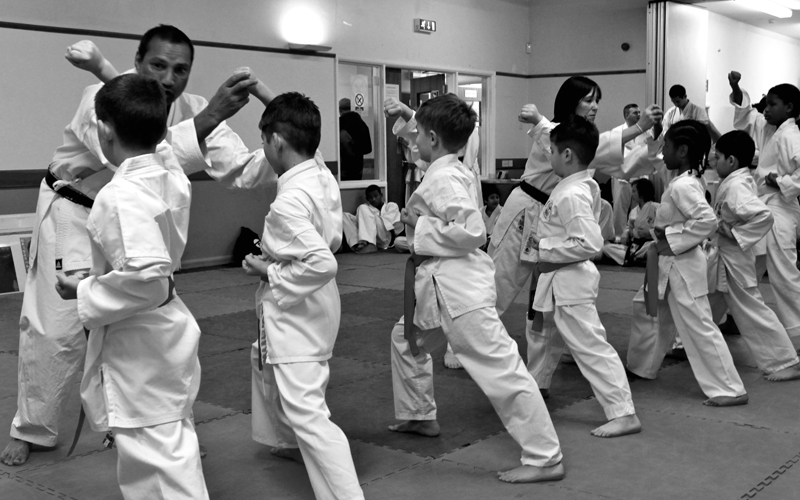 The original name was `Colegrave Karate Club’ as it first started up in a local school. 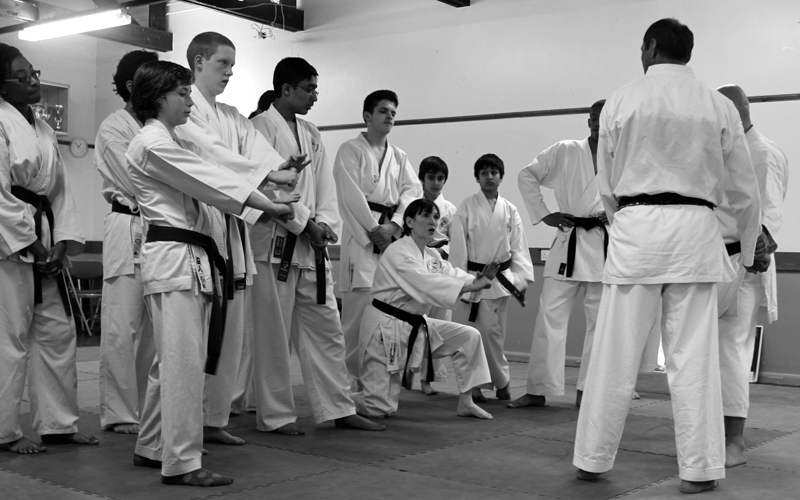 Over the years we have had numerous achievements in completion, produced many Black Belt students and quality teachers. Our School has always maintained a high standard, with good etiquette and excellent code of practice. We are dedicated to our students and our service offers something for most age groups starting from 4 years upward which includes; children, men and women. We are a family orientated club and welcome community members from different backgrounds and all walks of life. The literal translation of the Japanese term Goju is “hard/soft” - go meaning hard and ju meaning soft. Ryu means school, thus Goju-Ryu is the hard/soft school of Karate. Goju-Ryu Karate is one of the four original Okinawan styles of Karate, and was founded by Chojun Miyagi (1888-1953). Sensei Miyagi had spent years in China training with the Chinese masters of White Crane style Kung Fu before returning to Okinawa to formulate what is now known as Okinawan Goju-Ryu Karate Do. Our Instructors and staff are CRB checked and operate on a voluntary basis. All time and effort devoted towards the club with teaching, administration, newsletters, fund-raising etc, are strictly through dedication and commitment towards the clubs progression and continuity for the future. A 5th Dan Black belt in Goju Ryu karate-do, he has been involved within the Martial Arts since the mid 70’s. Over the years, he has practiced many disciplines and styles within the Martial arts and has gained much experience to go with it. Over the past 18 years, he has practiced the art of Goju Ryu Karate-Do which he is currently teaching at the East London School of Karate. Pam is a 3rd Dan Black belt in Goju Ryu karate-Do and has been involved in karate training since 1987 and has over the years picked up many competition and teachers awards.